Despite many other options for our time, television viewing remains very strong. 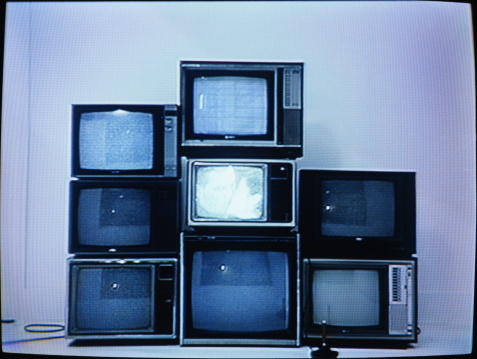 Many pundits and experts have predicted the demise of television. Consumers are spending time with laptops, tablets, smartphones, social media networks and video games. With all the competition for our attention, for some time now, experts have been prophesying that television viewing will take a hit. But that has definitely not happened. Measuring consumer behavior in the first quarter of 2012, Nielsen revealed that Americans averaged watching television 4.38 hours per day. That is only six minutes less than in 2008, before the exploding proliferation of new media options. And live TV viewing was a full 4 hours a day more than they spend watching DVD playback. Adults 65+, of course, consume the most traditional media with nearly 48 hours per week in TV viewership. They watch just less than 2 hours of time-shifted TV per week. By comparison, adults 35-49 watch just over 35 hours of traditional TV per week and roughly 3 and a half hours per week of time shifted TV. The study also shows that time shifted viewing is increasing. It has grown from 12 minutes per day on average in 2008 to 24 minutes per day in 2012. So for hospital marketers, television is still a very viable alternative. Consumers are still watching and thus television is a way to reach them. All the talk about people not watching TV anymore and TV advertising no longer being effective proves not to be true. For television the sky is not falling. In fact, it’s still filled with television signals. ← Healthcare Marketing: TMI Volume? No.